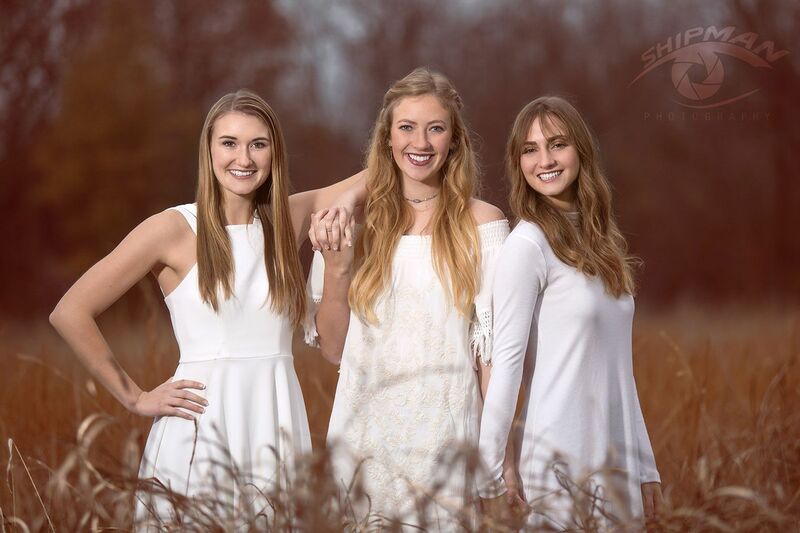 What are good places to take senior pictures in Tulsa? 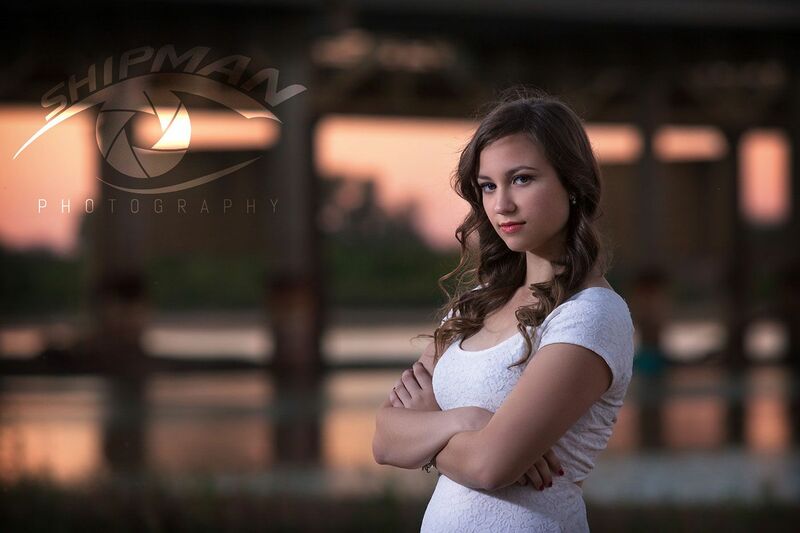 Tulsa is a beautiful city with an abundance of great portrait locations! 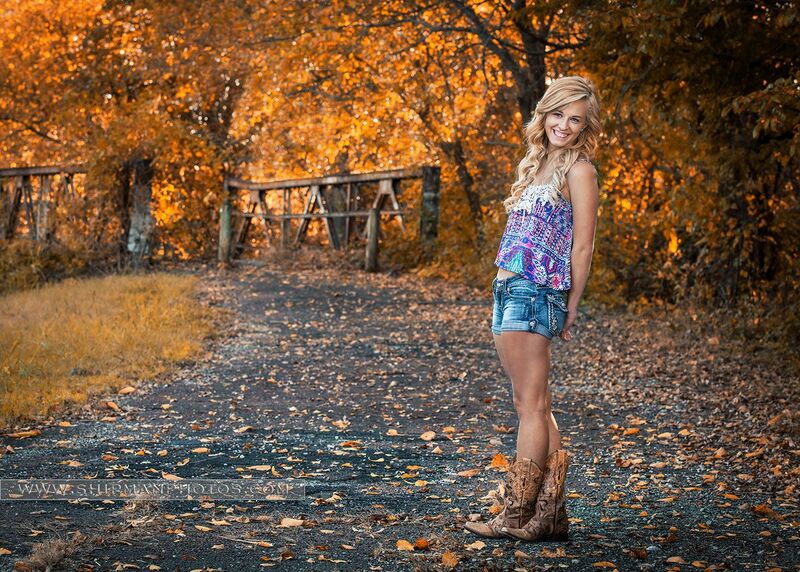 Fortunately, the good places to Take senior pictures in Tulsa abound. 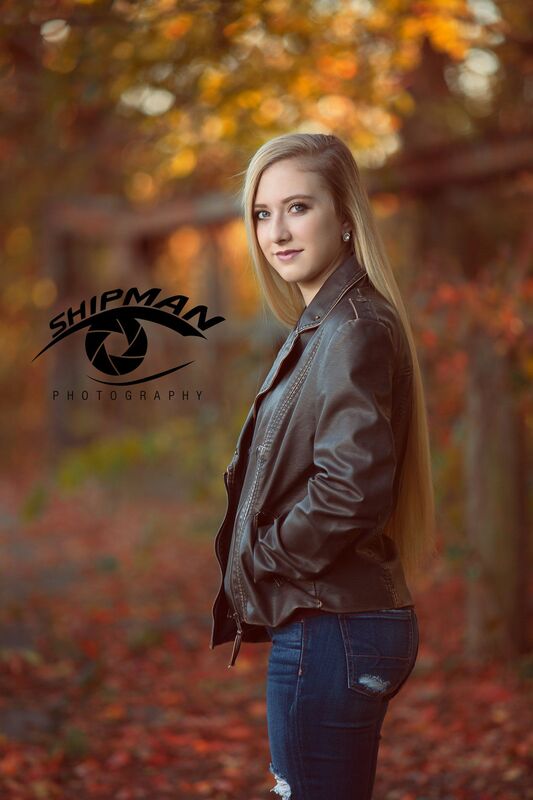 This is a question we get a lot at Shipman Photography, but it’s not just a simple answer because everyone is unique. We take a consultative approach here with our clients and get to know them and learn about their interests and personalities before we suggest a place to shoot. 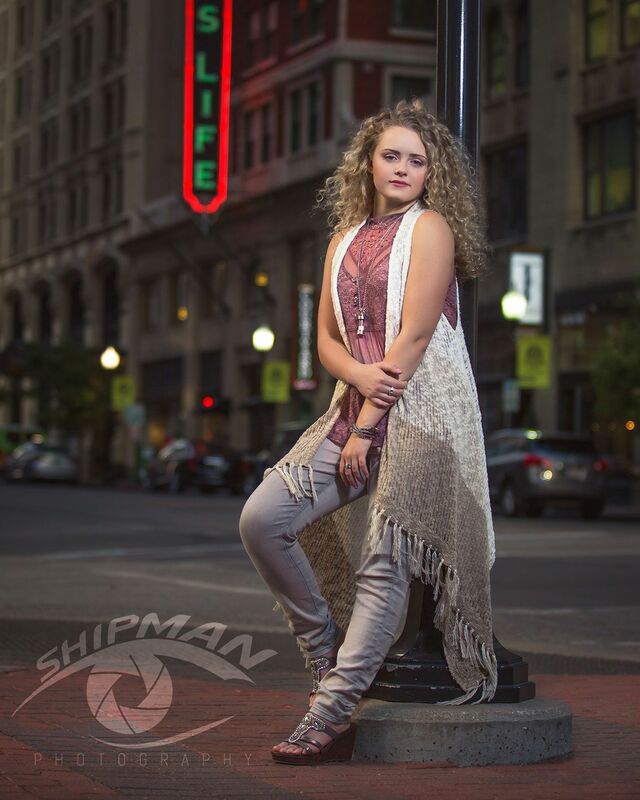 For some kids that means a downtown Tulsa shoot. For others, it means a session at one of our beautiful Tulsa area parks. For some ideas, only a studio project will get it done. Seniors who are athletes often like to incorporate their home field or stadium into the shoot plan, and sometimes clients already have their own fantastic ideas about where to shoot. In fact, client ideas over the years are how we’ve built our list of go-to locations. My go-to circuit begins at the fountain at 6thand Boston, heads south down Boston, shooting at several locations before arriving at the First Presbyterian Church at 7thand Boston. This gorgeous building provides an incredible variety of architectural backgrounds, and is the heart of our downtown session work. The sidewalk in front of the church also provides unparalleled views up Boston Avenue towards the imposing BOK tower and provides the quintessential urban downtown Tulsa shot. An example of the incredible architecture of the First Presbyterian Church in Tulsa. The fountain area itself at 6thand Boston has several great shooting angles with the canyon of Boston avenue architecture in one direction and several beautiful churches in the opposite direction providing incredible sunset light and atmosphere. When the fountain is not turned on, it also is a great setting itself for posing seniors on the sculpture within. 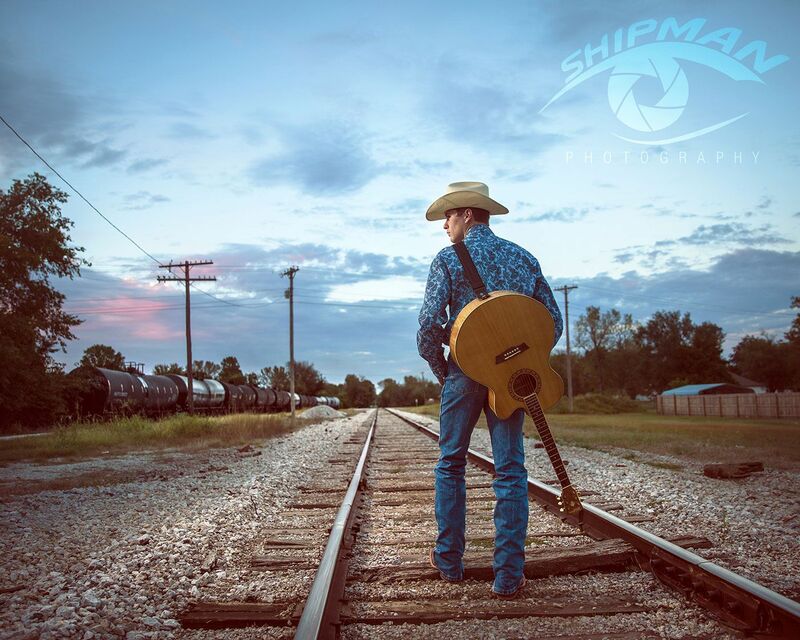 Other great downtown locations can be found around the Cain’s Ballroom in the Brady District for the aspiring musician clients…. 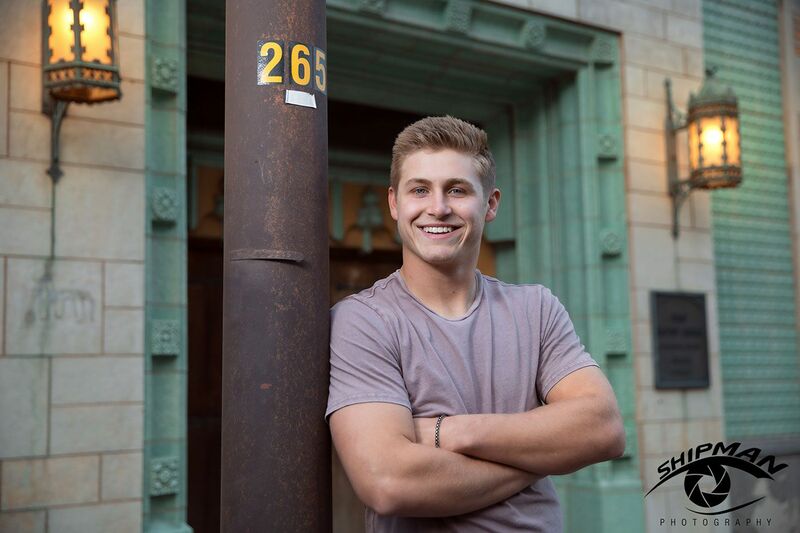 The old buildings and signs up Boston Avenue create a beautiful backdrop for any senior portrait session. Many of the beautiful parks in Tulsa provide an incredible diversity of foliage and settings. 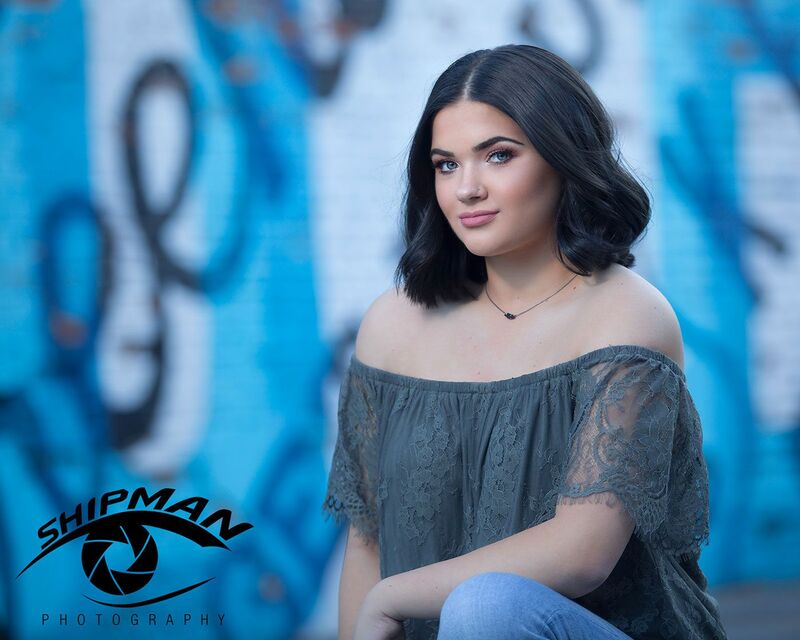 Woodward Park is of course a traditional location for senior portraits, but my go to park is Centennial Park at 6thand Peoria. 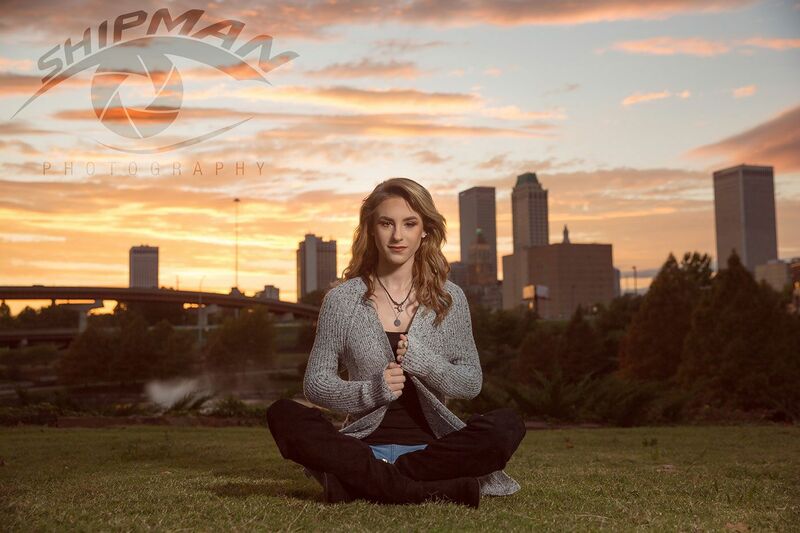 It’s a great location for flavoring up a downtown session with a sunset finish at this beautiful park which not only has great rock formations and gorgeous trees and flowers, it also has a lake, a waterfall and a sunset view of the Tulsa skyline that is simply breathtaking on nights when the Oklahoma sunset is in full display. Another great park location is the Gilcrease mansion area, which also provides a beautiful shot of the Tulsa skyline from an alternate direction. The mansion and the flowering vegetation which abounds here makes it a beautiful setting – however, it is also a very popular setting for other photographers, so be aware, you may have to wait your turn for the shots you want here, but the results can definitely be worth it. There are dozens of locations that allow river access in the Tulsa area, but I have a few favorites. 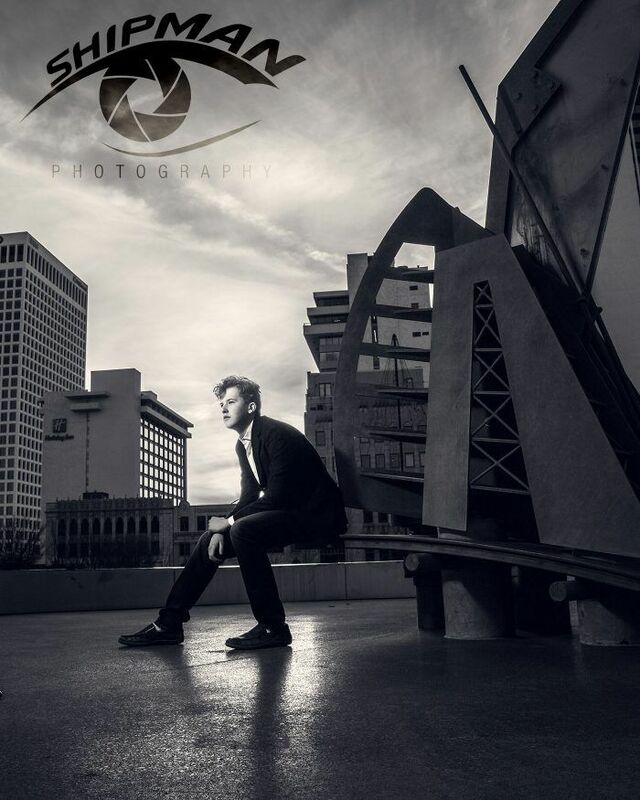 The Tulsa River Park system has tons of great spots for portraits and shots with the Tulsa skyline in the background. The floating amphitheater area on the west bank provides a beautiful angle across the river towards downtown. Further downriver, the Jenks Riverwalk gives the feel and vibe of a port village and the walking trail again provides great shooting angles up river with Downtown, River Spirit Resort and ORU’s towers all visible. My favorite place however is the old “banana bridge” in Bixby on Memorial. Once the main Memorial river bridge, it has been repurposed as a pedestrian bridge and is itself a great shooting location. However, if one follows the walking trail that leads underneath it on the south end, various trails leading down to the river allow for beach shots and under-bridge shots that are second to none, especially at sunset, shooting up river (west into the sunset). There are so many great places to shoot farm and ranch settings in the Tulsa area that it would literally be impossible to name them all. One of my favorites is the intersection at 181stand Memorial. It has several great shooting angles and also has a long country road that provides wonderful shots. Not far from this location is the infamous “Crybaby Bridge” that is just off the road near 191stand Mingo. It’s got great texture and foliage and always has great shaded (soft) light to work with. Simply put, there is no more versatile studio in the Tula Market. 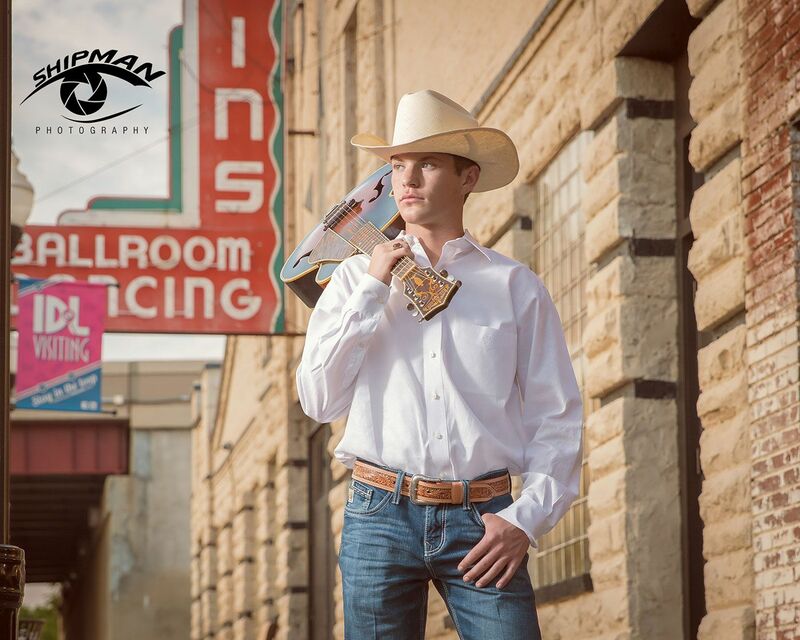 We can create any look, setting and theme in our studio and our next level post-production gives us expanded ability to create stunning cinematic composites and digital art for our senior portrait clients. If you are looking for a specific in studio look, or if you have a great idea for a scene this is the place for that. That just scratches the surface, but these are all locations that have worked superbly for us over the years. Feel free to leave suggestions for other great locations in the comment section! 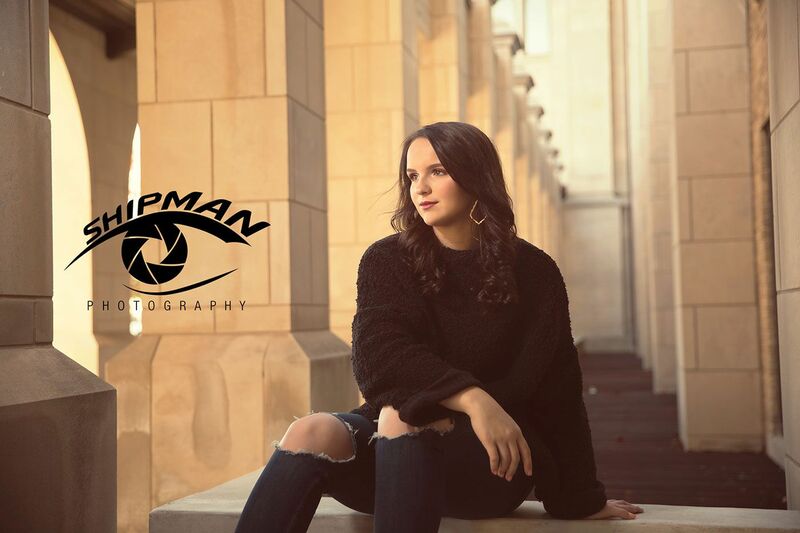 Be sure to visit our senior portrait page for more information.